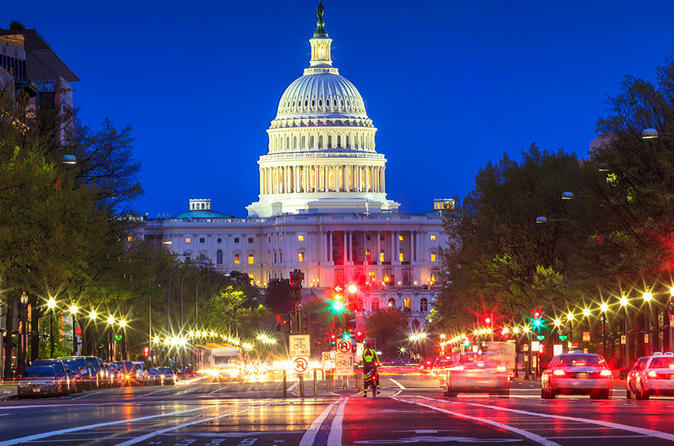 The Washington After Dark Tour is a night tour of DC that will take you to a nightly visit of the top monuments in the city. It offers you a totally new perspective of the nation’s capital in dazzling lights. On this tour you’ll get a rare peek at the heart of the city with its lofty memorials revealing their mysteries with the play of the moonlight on their faces. If you crave amazing sights with breathtaking beauty, this tour of DC at night is not one to miss. This fascinating bus ride through thicket and glitter shows familiar landmarks like the Capitol Building, the Washington Monument, the White House, to name a few.